Brian Romero won his fifth-straight start for high-A Port Charlotte in 1990 and he did it with a complete game. He got that complete game after reassuring his manager that he could do it, after his team gave him a three-run cushion in the eighth, according to The Sarasota Herald-Tribune. "I feel better with the lead," Romero told The Herald-Tribune after the game. "With it I feel relaxed. No one can get to me." Romero made Port Charlotte in his second season as a pro. He went on to make AA Tulsa in his third. But, in a career that spanned seven seasons, Romero never made it higher. 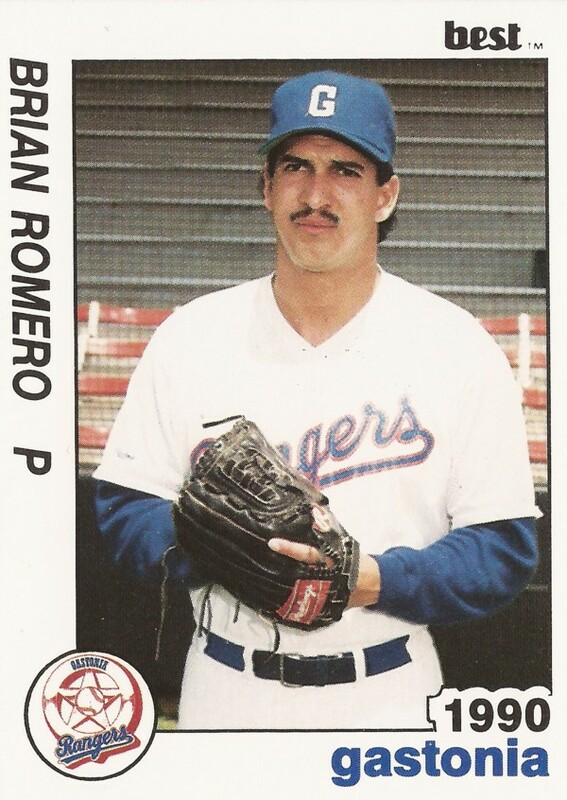 Romero's career began in 1989, taken by the Rangers in the 50th round of the draft out of East Los Angeles College. Romero played his first season in the rookie Pioneer League at Butte. There, he went 5-0, with a 1.79 ERA in 10 outings, seven starts. He started 1990 at single-A Gastonia, later moving to Port Charlotte. He earned his bump up to high-A with 15 starts and a 1.48 ERA at Gastonia. At Port Charlotte, Romero went 7-2, with a 1.70 ERA over 12 starts. In early July, Romero had a 16-inning scoreless streak broken up. He picked up his seventh win in late-August, with a six-inning, four-hit effort. For 1991, Romero moved to AA Tulsa. He also stayed there for four seasons. He went 6-5, with a 4.98 ERA over 23 outings, 14 starts his first season there. His 1992 season consisted of just 13 outings, 11 starts. Romero's last extensive time came in 1993, with 21 outings, 18 starts. He had a 3.91 ERA. He got just seven outings at Tulsa in 1994 and then returned for a final four starts at independent Sonoma County in 1995, ending his career.